Arbonia is taking an active part in the European market consolidation process in the area of design and steel panel radiators by acquiring the Belgian company Vasco Group for its heating, ventilation and air-conditioning technology division (HVAC). The acquisition will expand its geographical footprint and strengthen the division’s range of products. The Vasco Group’s markets more or less compliment existing HVAC division markets. While Vasco occupies a leading market position in Belgium and the Netherlands, Arbonia’s companies with their brands Kermi, Arbonia, Sabiana and Prolux are active mainly in Germany, Switzerland, Italy, France and Poland. In addition to exploiting markets in the Benelux countries, the HVAC division will be further expanding its market share in France and Germany. One the one hand, by acquiring the Vasco Group, Arbonia adds the Vasco, Brugman and Superia brands to the division’s product portfolio. These are market leading brands in the Benelux countries, where they were established. On the other hand, it also adds premium design radiators to its portfolio, in particular in the higherpriced market segment for the DACH markets, in Eastern Europe, Russia, Asia and in the Middle-East. In parallel, Arbonia also has the opportunity to grow in the market segment of residential ventilation in the area of centralised and decentralised applications, as well as the underfloor heating segment. By strengthening marketing and cross-selling activities in sales and increased shared value creation in the R&D and Purchasing & Production business units, the HVAC division can benefit from synergies and grow in a sustainable manner to make the Arbonia Group still stronger. The Vasco Group, with its various companies, will be integrated into the HVAC division. However, they will act autonomously in their markets under the existing Vasco brands. All employment relationships will be transferred over to Arbonia. The Vasco Group is an owner-managed company for radiators, underfloor heating and ventilation for residential apartment construction. It was founded and grown by Jos Vaessen. The company currently belongs to Vaessen Industries, which is wholly owned by the Vaessen family. 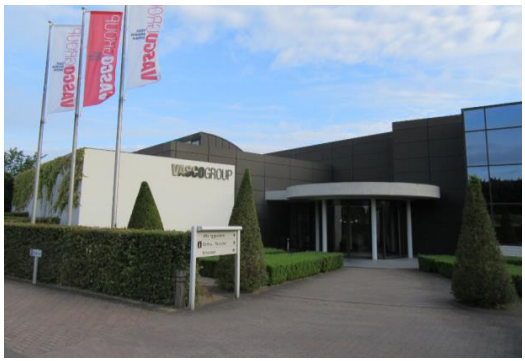 The Vasco Group is the market leader in Belgium, Holland and Luxembourg. More than 600 employees work in the four production plants: DilsenStokkem (BE), Zedelgem (BE), Tubbergen (NL), and Legnica (PL). The total annual turnover is around EUR 90 million. 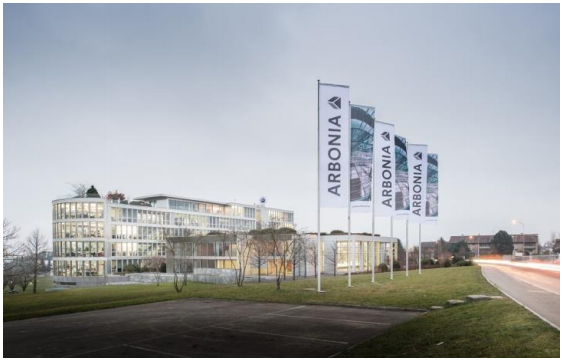 Arbonia is a focussed building supplier that is listed on the SIX Swiss Exchange and has its head office in Arbon, in the canton of Thurgau (Switzerland). In 2017, Arbonia generated consolidated sales of CHF 1.3 billion with continuing operation. The group is active worldwide with its own distribution companies as well as offices and partners in more than 70 countries. Its main production sites are located in Switzerland, Germany, the Czech Republic, Poland, Slovakia and Italy. Arbonia employs a total workforce of around 7,600. The divisions that make up Arbonia are active in the following sectors: heating technology, air-conditioning and ventilation technology, sanitary equipment, windows, as well as exterior and interior doors.